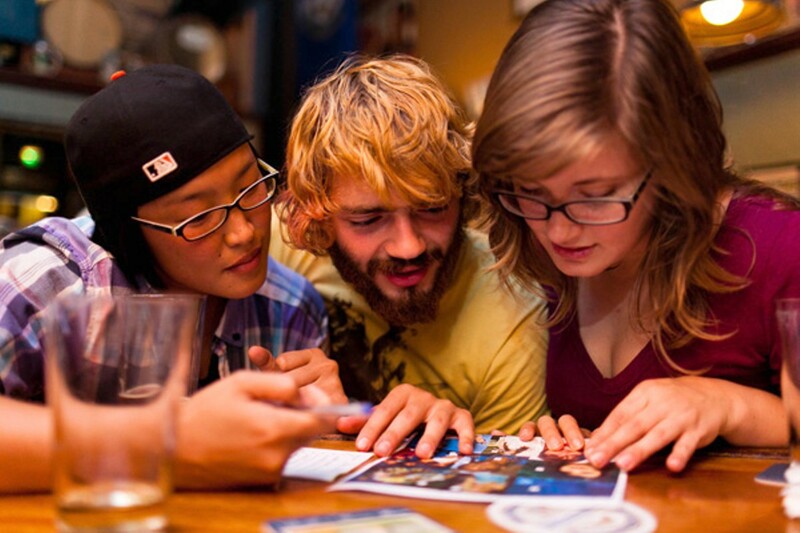 Q: Where's a Good Pub Quiz in the East Bay? Questions at Ben and Nick's start off easy but get hard. Let's start, of course, with some trivia: The United States is said to be home to at least 2,000 regular trivia nights in all fifty states. And it's safe to say that the Bay Area — which is not only home to some of the biggest geeks on the planet and a healthy drinking culture, but also the nation's first trivia-packaging company, San Francisco's Brainstormer — is probably home to more than its fair share of those. For bars, the appeal is clear: Pub quizzes bring customers in on less-trafficked nights (that's why they tend to happen earlier in the week) — and, more importantly, keep them there for at least a couple hours. And for patrons, too, it's obvious, if a little more ineffable: Pub quiz gets at two basic human desires — to compete and to drink. It's more social than sitting at home watching Jeopardy!, and more dynamic than a typical bar night. It's competitive, but still accessible to those with minimal hand-eye coordination (which, let's be honest, is probably a fair chunk of the pub quiz audience). It's easy enough to not be immediately discouraging, but challenging enough to keep you coming back every week. Indeed, the best trivia nights spark senseless devotion, fierce competition, and, most likely, mild-to-moderate liver damage. Here are some of the East Bay's best. Vibe: Exceedingly difficult questions and a clientele rife with Cal grad students make this one of the East Bay's more challenging trivia nights. Bring your A-game. Vibe: With deceptively easy questions that start simple ("What's the chemical symbol for oxygen?") and quickly become mind-meltingly tough ("Which 1940 treaty established the Axis Powers? 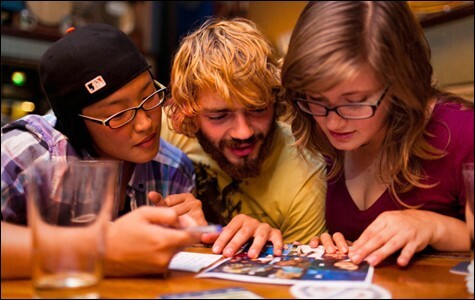 "), it's no wonder this tends to be one of the most highly trafficked trivia nights in the East Bay. Vibe: Cal-student-oriented conviviality, plus bang-up pizza and easy BART access. The questions are written in-house and cover a wide range of topics, including science, sports, history, and pop culture; Bobby G's staff place the quiz's overall difficulty at somewhere around eight out of ten. Vibe: This place fills up fast on trivia nights, and for good reason — quizmaster Chuck B is a legend, the beer selection is impressive, and the competition is fierce. Vibe: The Den's got a sleeker, less pubby vibe than most other trivia nights, and the questions tend to be a little easier and more news-oriented than at other quizzes. Vibe: Fireside, like the Albatross and Henry's, gets its questions from Brainstormer, and they tend to be pretty difficult. Worth noting: Trivia night also features a two-for-$3 special on tacos from Calafìa Taqueria. Vibe: Not surprisingly, based on its location, the quiz at Henry's tends to attract a lot of undergraduate and graduate students, plus a decent mix of professors and locals. It's also got one of the more generous prize programs around. Vibe: Room 389's trivia night is brand-new, but consider it a dark horse, if for no other reason than that an employee from the Chinese restaurant next door takes orders tableside and delivers food to the bar. Vibe: Pyramid's right in the midst of switching trivia providers, but the Berkeley institution has a faithful following and a long history.